Do you sometimes struggle to sleep? Insomnia is a huge problem for a large number of people. This is why prescription sleeping pills and antidepressants are such widely prescribed drugs. 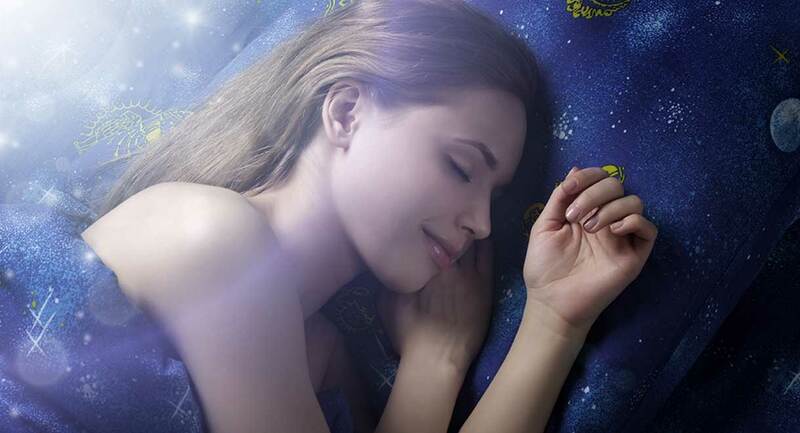 Sleeping problems encompass difficulties getting to sleep, staying asleep or waking too early. They can be caused by many different things: stress, menopause, liver conditions, digestive problems and immune system problems to list just a few. Being low in magnesium is common among insomniacs, and there’s nearly no one who doesn’t sleep better when they take this mineral. Magnesium is necessary for the function of more than 300 different enzymes in the body. It is necessary for energy production, healthy muscle and nerve function, as well as adrenalin breakdown; helping to clear this stress hormone from your body. Soil levels of magnesium are low in many parts of the world; therefore food doesn’t provide enough of this mineral for most people. Apart from sleeping difficulties, other common symptoms of magnesium deficiency are anxiety, muscle cramps or twitches (such as the muscles surrounding the eyes); poor circulation (cold hands and feet) and muscle tension (such as the neck and shoulders). When it comes to sleep, magnesium is necessary for the function of the brain neurotransmitter GABA. GABA has a relaxing effect on the body and it helps to quieten your mind. It helps to shut down the racing thoughts and internal chatter that prevents many people from being able to sleep. Blood tests are not a reliable way to measure how much magnesium is in your body because very little is in your bloodstream at any one time. The best way to see if your body is lacking magnesium is to take a supplement and watch for a change in symptoms. An ideal dose is 400mg taken with your evening meal. Magnesium can be taken in powder or tablet form.